Hello sweet Friends! Can you believe another year has come and gone already? I swear I don’t know where the last two months went! 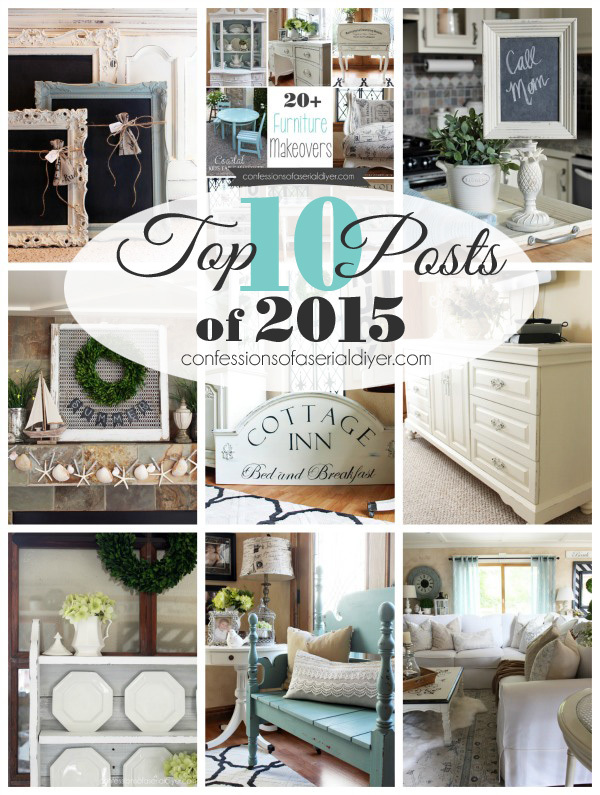 Today I am excited to share my 10 most popular posts from the past year. I am always a bit surprised at some that make the top 10. You just never know what will resonate with people. Before I start, let me say a HUGE thank you to all of you for your support this year. It truly means the WORLD to me to have you here. 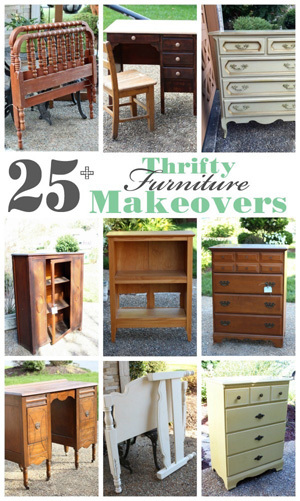 I am so excited to start another fabulous year of thrifty makeovers and fun tutorials, and share them with you! 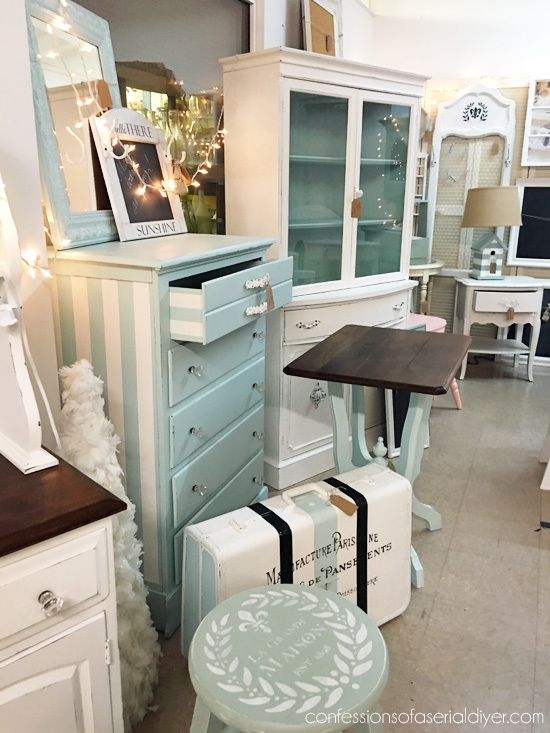 Check out my Mom’s reaction and how the rest of the oak bedroom set turned out here! 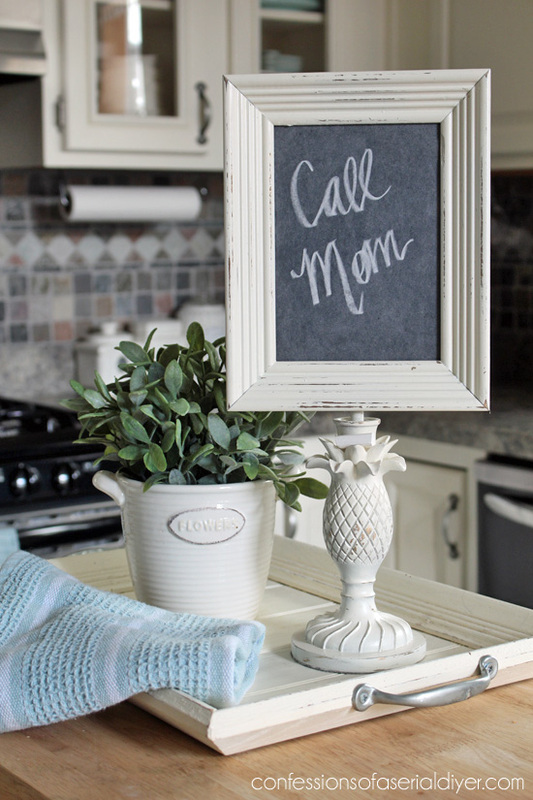 The number three spot in the countdown belongs to these Fancy chalkboards I shared, all ready for market, as part of my March Madness Series. That was mostly thanks to Pinterest…they went nuts over there! 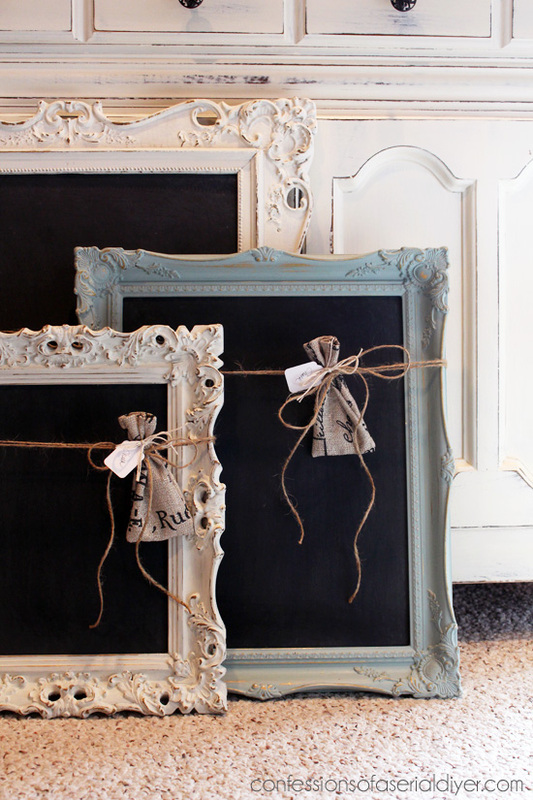 I almost didn’t even share them on my blog since I make a ton of chalkboards for my booth that never make it here, but these ones were so pretty I had to. I snapped these photos real quickly just before loading them into my car! 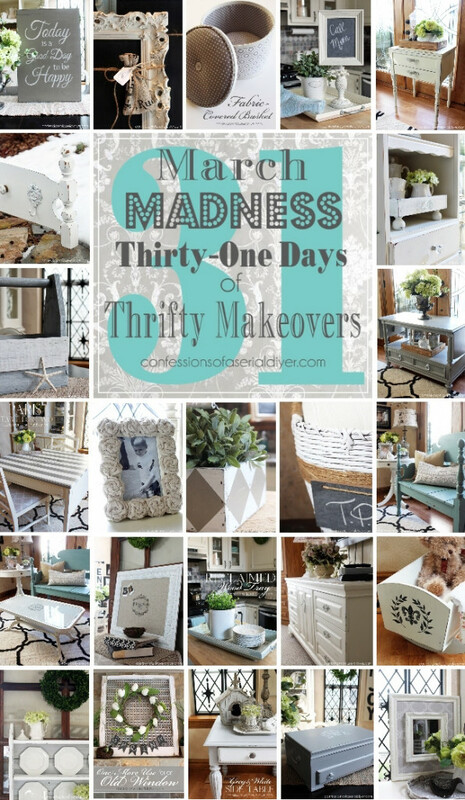 Coming in at number two was the recap of my March Madness series, where I shared the before and after of all 31 thrifty transformations I shared that month! And probably my favorite project although too recent to acquire enough page views to reach the top 10, is my new sign for my living room made from old fencing! 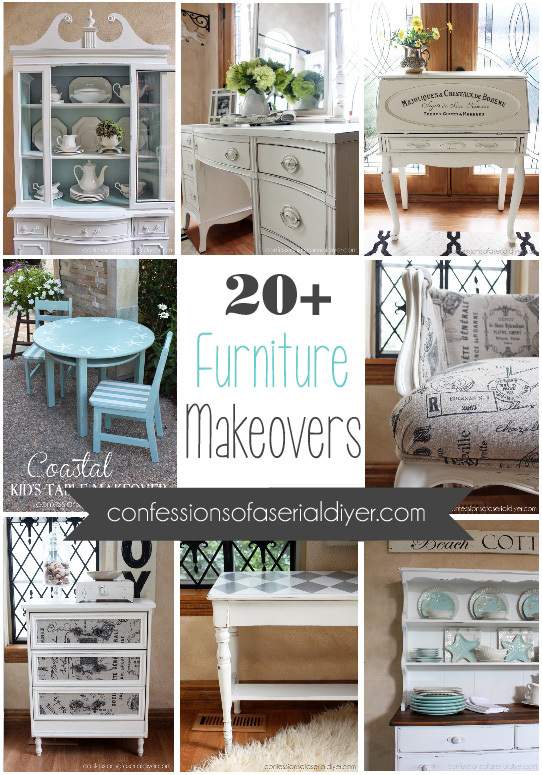 There are several furniture makeovers that I loved as well, but since my last round up in February, I counted 33 more that I’ve done, so it’s about time to put together another one of those too. It’s always fun to look back. And there are lots more to come in the year ahead! Want to see what was hot around here in 2014?? Wishing you all that you are hoping for and more in the year ahead! 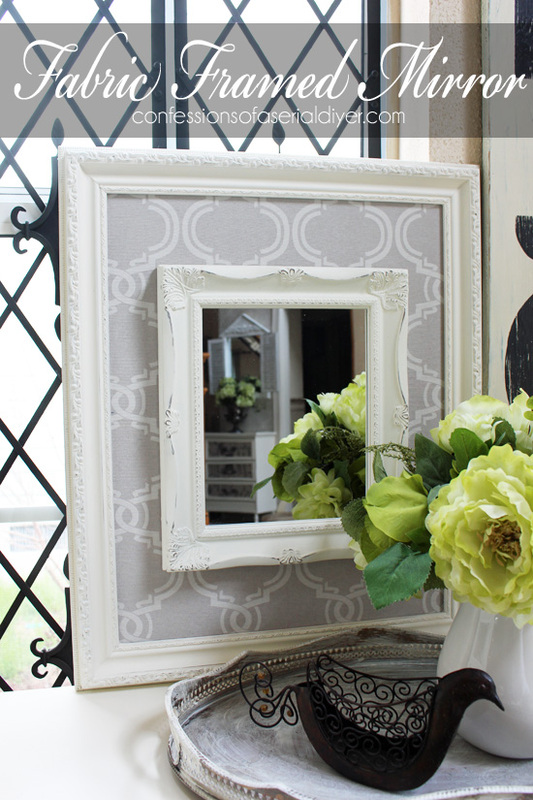 I’ll be back tomorrow sharing the evolution of my dining room…old pictures on the way! 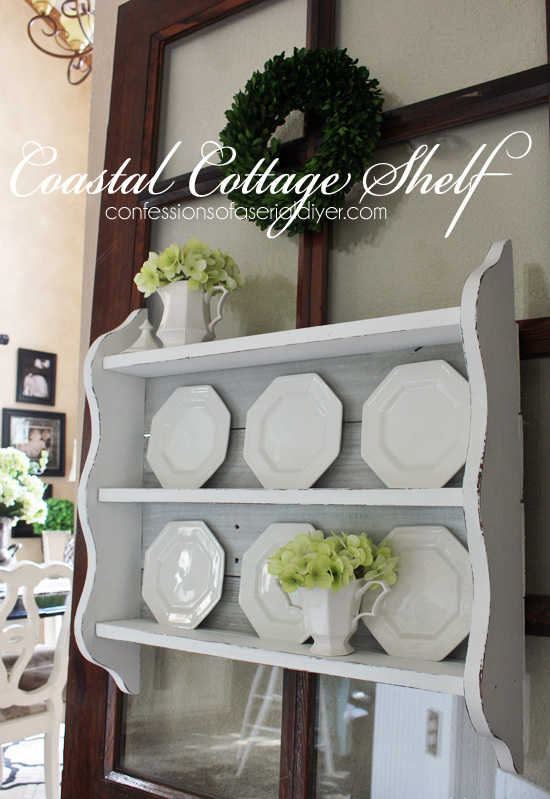 Update: See the evolution of my thrifty dining room here now! 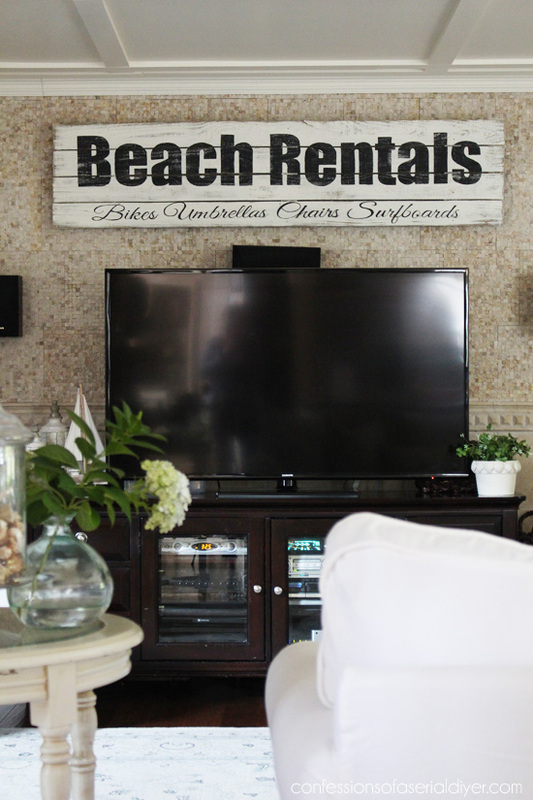 These are great makeovers, always enjoy checking out what you have done!! Happy New Year !! Leap years have always been the best ones in my life and They brought the best thing to me such as the birth of my children, next year is also Leap so it will be wonderful, I am sure , I wish you success, health, and love for you and your beatiful family. 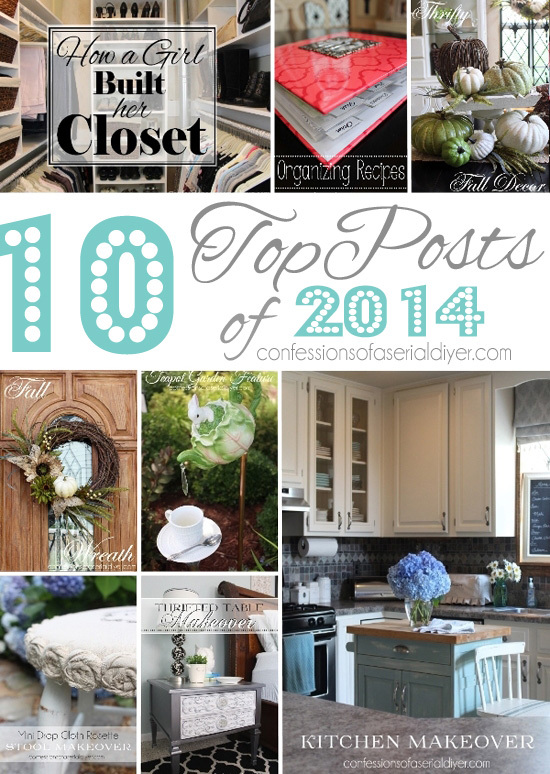 We can see why these are the top 10…some of our faves too! Cheers to a Happy New Year! Christy – I look forward to every one of your posts and would not be able to pick a top ten, top twenty or even top thirty! You are very talented and creative! I wish you and your family all the best life has to give in 2016 and look forward to many more wonderful projects from you! Oh you are SO sweet, Mary!! A big fat virtual hug to you, my friend! Thank you so much for following along with me! I’m ready for a fresh fun new year…Happy New Year to you! Christy, you know I’m a huge fan of your work. You always add that special touch to your makeovers and never cease to amaze me with your talents. Looking forward to seeing what you have in store for us in 2016. Happy New Year friend! 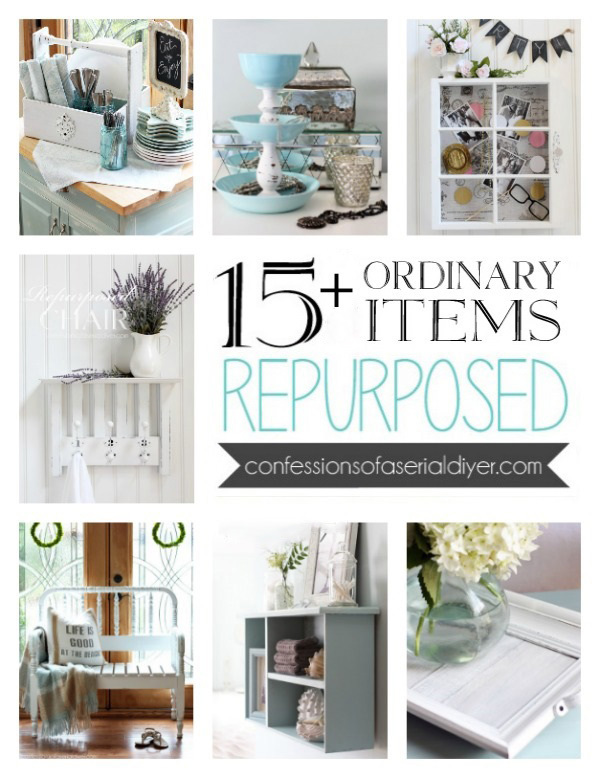 Since I love everything you make and re-create, I could never pick just 10! Thank you so much for sharing your ideas and creativity throughout the year. You are one talented lady and I love your blog posts. Wishing you a very Happy New Year!! I have often admired your posts on fb shares and so I’m not surprised to see this wonderful list. Here’s to another great year of blogging in 2016! You had a great year! One of my planning period pleasures is to take a minute to read your blog. I so much enjoy your projects and look forward to what you share in 2016. Wow! You are such a talented lady and apparently you were very busy in 2015. 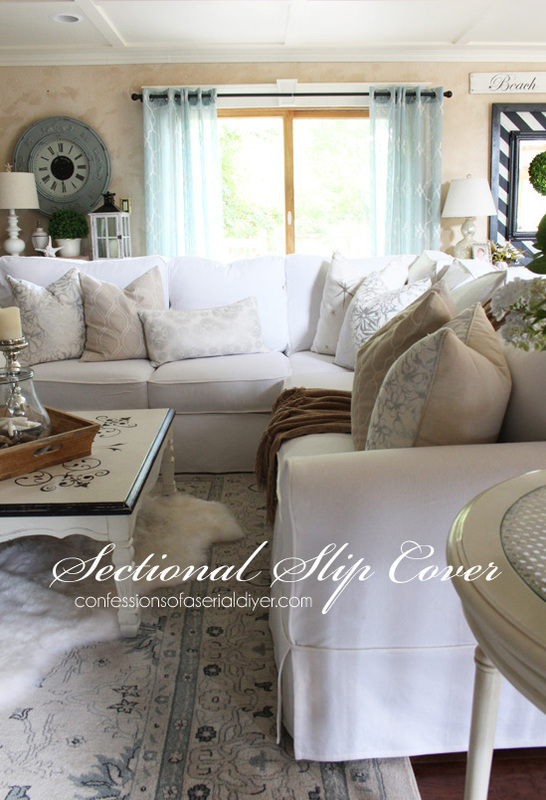 I love your slipcover makeover. Since I can’t even sew together a pillow cover…that project you completed perfectly blows my mind! 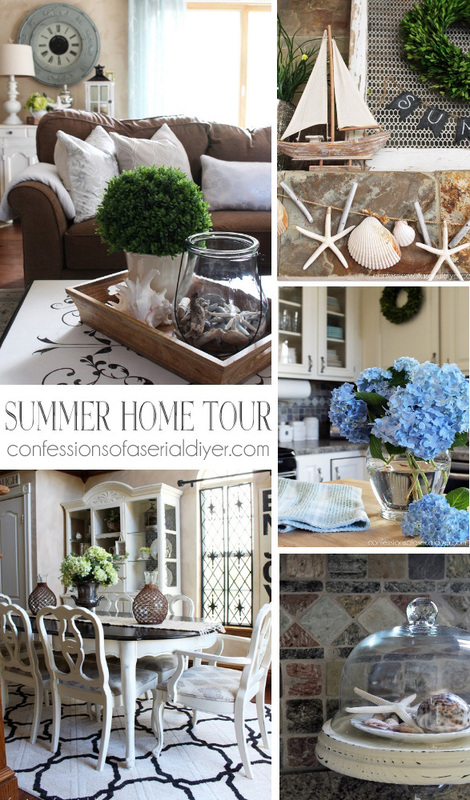 Wow, your home and all your projects are absolutely gorgeous! I’m blown away by all the beautiful work you’ve done. Love, love, love. What an awesome selection of projects! Happy 2016! 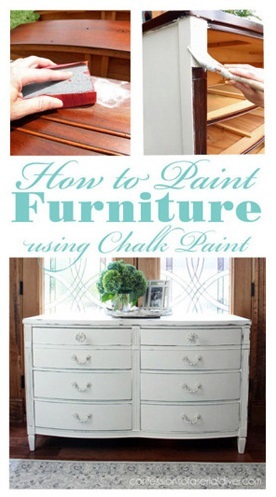 What a pretty blog! 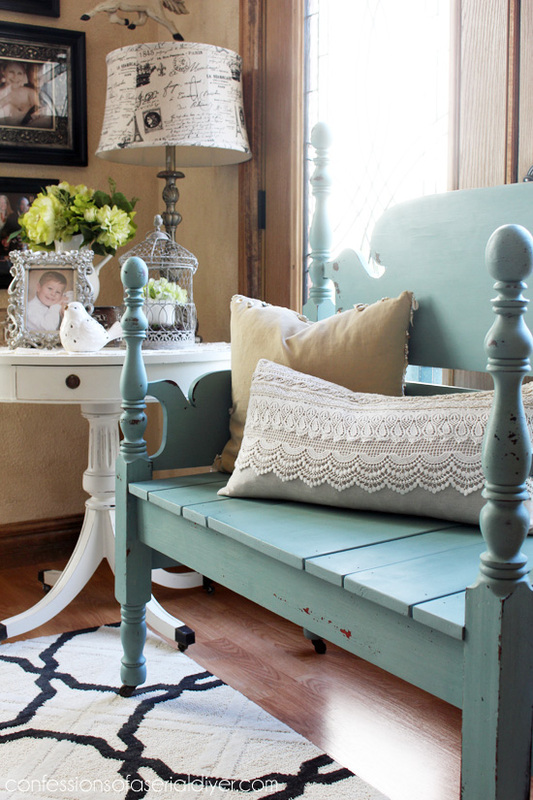 Love that blue headboard bench. 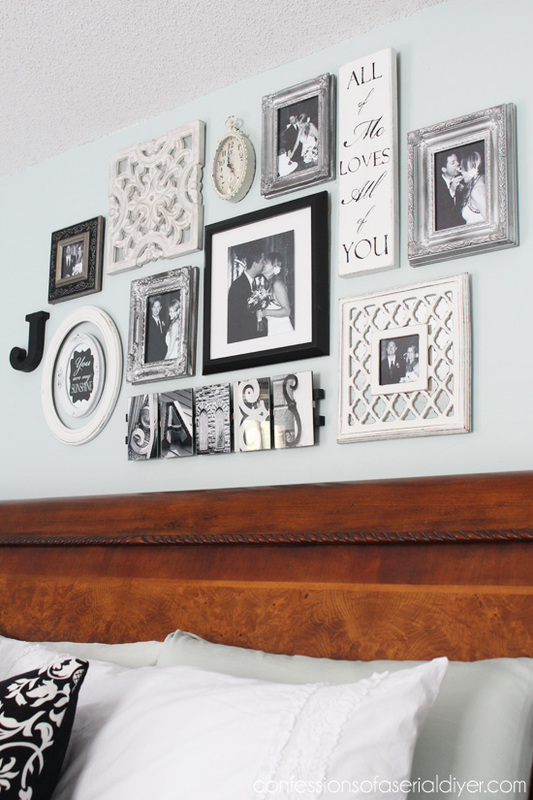 Now I’m going to have to find a headboard! Have a happy new year! Gorgeous projects, all of them! It’s so fun to look back at what people loved in the past year! 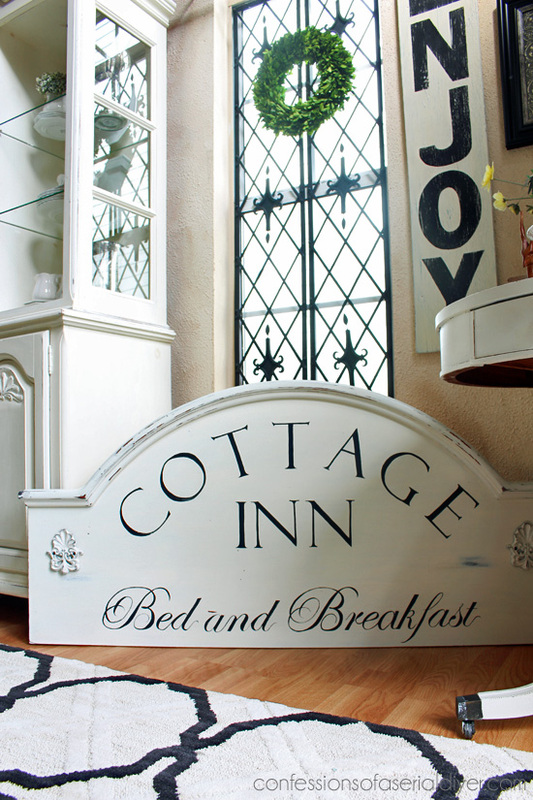 I agree with the masses, your headboard bench is awesome, as is your slipcovered sectional!! Happy new year! 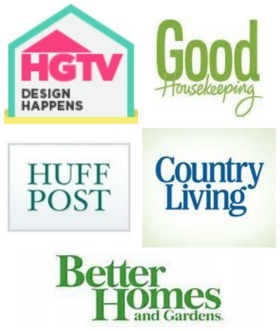 So much fun to see which of your projects made the top ten!! Love them all! 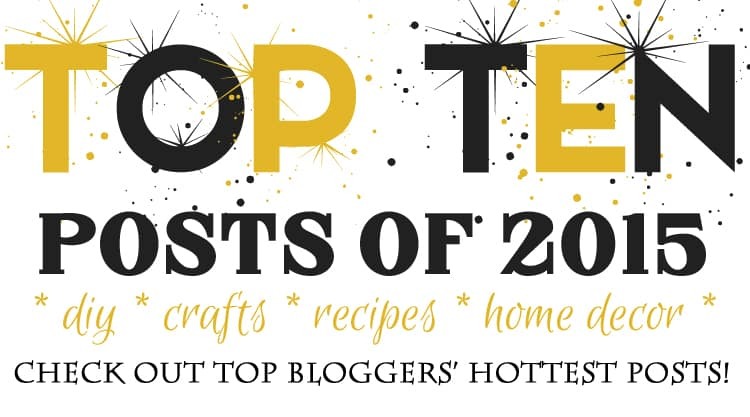 What great projects girl – you rocked 2015! Girl – you are a machine. 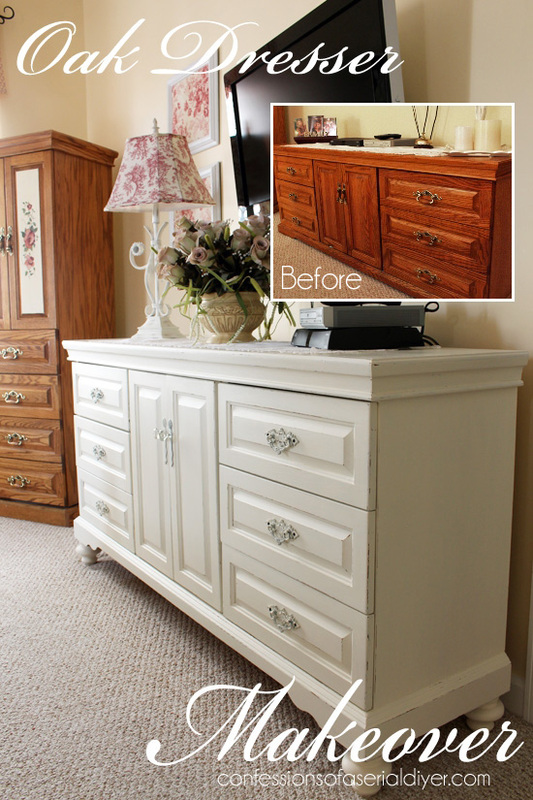 I always love your style and thrifty makeovers. Such a great year, looking forward to the 2016 ideas you will dream up! What a great year you had, Christy! I love love the bench. Looking forward to all the awesome you’re bringing this year!